On the evening of Saturday, 14 November 1970, a jet carrying the Marshall University football team, coaches and fans, crashes in the Appalachian Mountains. Now, university president Dedmon plans to end the school's football program for the season--perhaps indefinitely. But in this small town, football is a way of life. 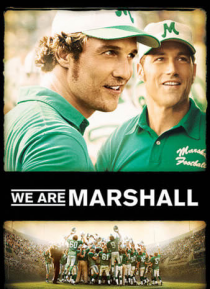 And with the strength and leadership of young, outsider coach Jack Lengyel (Mat… thew McConaughey), the town and the university rally to rebuild a football team and to heal a community.